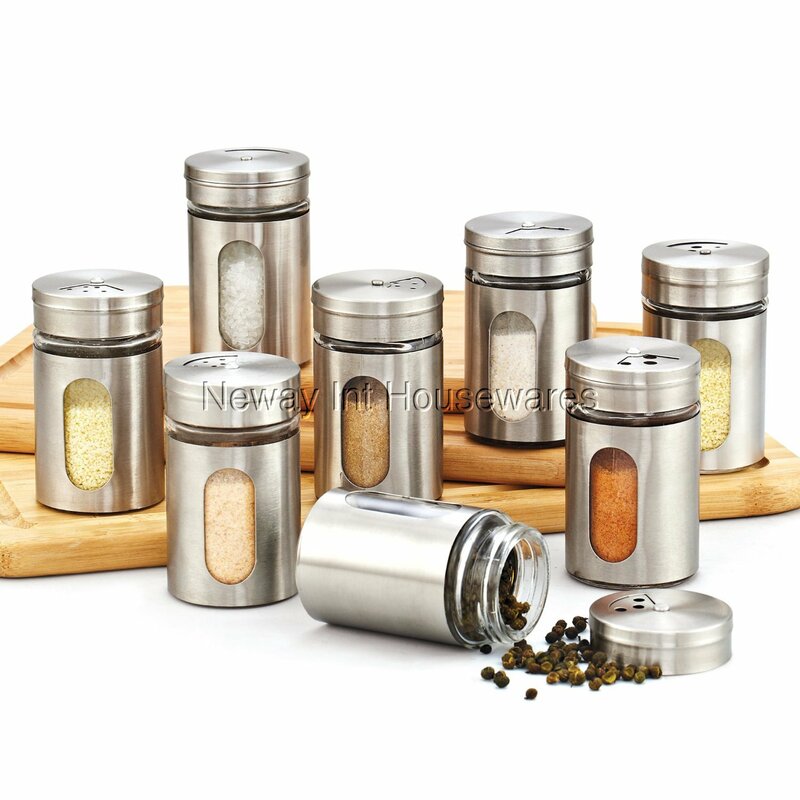 The Cook N Home 8-Piece Windowed Spice Bottle Set with Stainless Steel Caps includes 8 spice bottles that can hold 5 ounces (150ml). Stainless steel top lid is screw tight to keep material fresh. Glass side and bottom window lets you see inside. Measures 3.25 in. height, 2 in. diameter, and 0.25 pounds. Not dishwasher safe. Hand wash, wipe dry immediately.